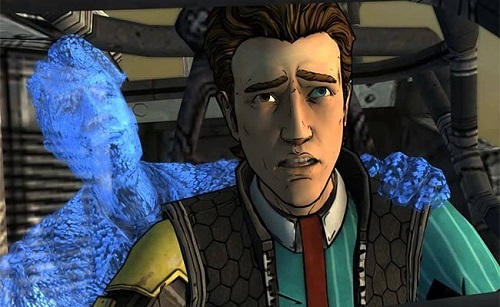 We continue our episodic discussions of Telltale’s Tales from the Borderlands with episode 2. There has been a big change in how we handle episodic games in our podcast between this series and the last time we tackled a Telltale game. Before they’re were a form of audio playthrough. We went chronologically through the events of each episode discussing plot points and our rational for our choices. We did much the same when we did Life is Strange. But our discussion for Tales from the Borderlands is much more fluid. In a lot of it, we aren’t even containing ourselves to the episode in question, constantly bringing up events from the previous episode to compare, contrast and emphasize our points to what Tales is doing. In a way that is good in that we are getting deeper into the big ideas of how Tales functions as both a game and a comedy, yet, on the other hand, it does sometimes feel like we might be repeating ourselves at time. You can find the episode on PopMatters, SoundCloud, iTunes and through the RSS feed. Absolutely love how Nick mixed the ending track with my quote as it kept going and going.